It’s that special TV time of year again for a lot of primetime series. Midseason premieres have aired. February sweeps ratings are in. Numbers are being crunched and shows are being evaluated. We’re in renewal/cancellation season, so news from networks can be very big. CBS has now announced a whopping eleven series that will be returning for another season of laughter, adventure, and/or tears. 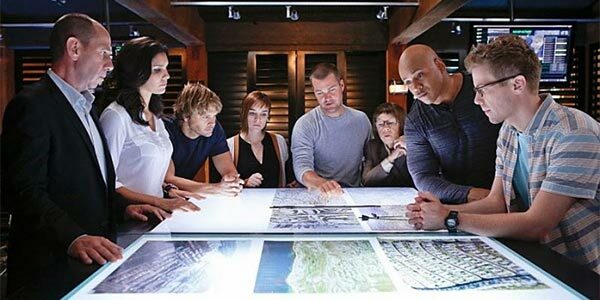 Blue Bloods, Elementary, Hawaii Five-O, Madam Secretary, Mom, NCIS: Los Angeles, NCIS: New Orleans, Scorpion, 2 Broke Girls, Survivor, and The Amazing Race have all been renewed. Other networks have already been announcing renewals, so CBS finally breaking the news about what series will be returning to the roster come Fall 2016 has to be a huge relief for fans of CBS’ lineup. Ratings juggernauts The Big Bang Theory and NCIS had already been renewed to the surprise of exactly nobody. Thanks to the ratings pulled in by all thirteen of these series, CBS will be able to finish this TV season as America’s most-watched network. It will mark CBS’ 13th victory over the past 14 years. Fans of 2 Broke Girls should be pleased to learn that the network shuffling the sitcom around last fall didn’t affect whether or not it would be granted a sixth season. Elementary hasn’t exactly been crushing ratings records in its four years so far, but the plot has thickened so much this season that the knowledge that a fifth is on the way is awfully reassuring. Despite Season 31 – no, that’s not a typo – dropping the show to record low numbers, Survivor will keep on surviving. Madam Secretary can boast a Morgan Freeman guest spot from earlier in its second season, and the gimmicky premise of Season 28 of The Amazing Race evidently paid off for CBS. There are some notable absences from the list of renewals. All of the eleven are shows that have already clocked in more than one season. None of the freshman series have yet to be officially renewed, although the odds are looking good, at least, for Supergirl. The odds aren’t looking nearly as good for The Odd Couple and CSI: Cyber, both of which are returning series that have not been picked up just yet for another go. Given that CSI: Cyber has been struggling in the ratings for some time and has had to deal with big name actor Ted Danson departing, fans of that show may want to start crossing their fingers and wishing on stars. CBS announcing eleven shows at once is promising that progress is being made, so we probably won’t have to wait too terribly long for news about the rest of the lineup. We’re already losing Mike & Molly, Person of Interest, and The Good Wife; knowing what else we shouldn’t be counting on for 2016 – 2017 could help us make it to May sweeps on CBS without too much stress. At the very least, we deserve some good news on the Criminal Minds front in light of recent events.